The Games Chair compiles a program exploring issues and innovative uses of computer graphics and interactive techniques in the gaming industry. The chair interacts with contributors on formats, timing and other requirements, and manages on-site content. 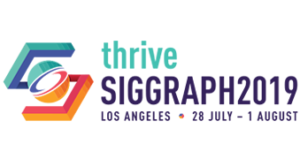 The SIGGRAPH Games Chair is responsible for the planning, selection process, and implementation of the annual conference with an eye towards Games. The Games Chair works closely with the Conference Chair, the Conference Event Director, other volunteers, and contractors to produce an interesting and successful Games Program. The following list is a “high-level” view of the specific responsibilities associated with serving as a Games Chair. The list is organized under general categories of responsibility.